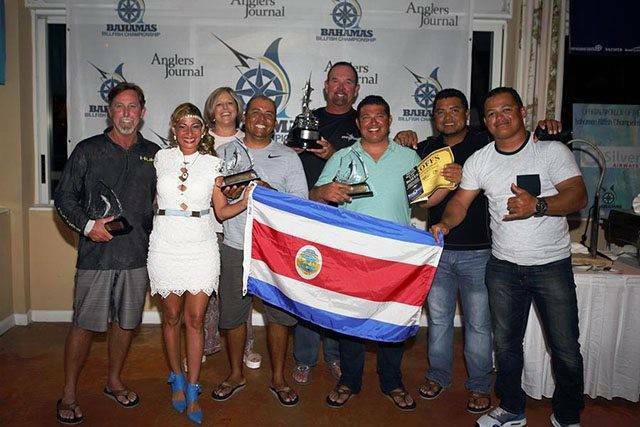 The 69′ Bayliss Uno Mas started off the tournament releasing a blue marlin, 2 white marlin and a sailfish on day one. They went on to release a white marlin and a sailfish on day two and capped off the win releasing 3 blue marlin and a white marlin on day three. Sandrita, a 62′ Ocean, made the scoreboard all 3 days as well releasing a blue and a white on day one, a blue marlin on day two and 2 blue marlin the 3rd day. Angler Sandra Fish caught 2 of those blue marlin earning her the award for Top Lady Angler. BBC Series leader, the 40′ Cabo Bamboo, released 3 blues and 3 sailfish to give them the 3rd place win.